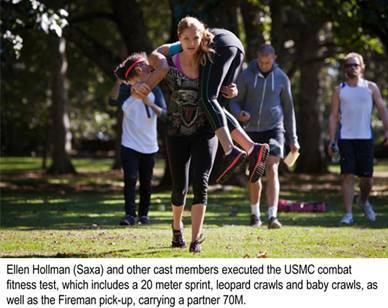 It’s becoming an annual rite of passage for the cast and stunt performers of the STARZ original series Spartacus. One month before production, they undergo intensive workouts and combat training. The goal is to get lean, mean and pumped up for the no-holds barred action scenes in virtually every episode. The workouts and training present a challenge for both men and women appearing in the popular series. Bodies are not only molded into shape, but the training seems to create a strong bond among the actors and stunt performers.